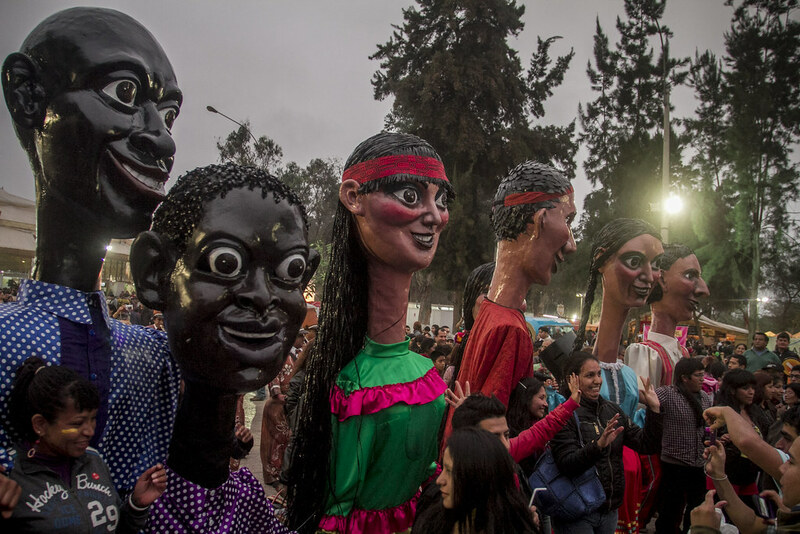 Mistura’s inaugural carnival in 2012. 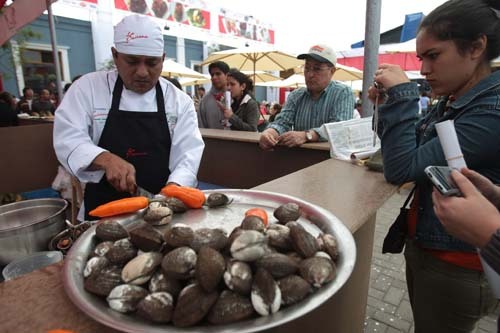 Peru has managed to merge together the best of its multiple internal ethnicities and cultures throughout gastronomy. Pots, pans, plates and ingredients work harmoniously together in a perfect orchestration of flavors and ethnic inclusions. In most Latin American countries food has an important role, but never the place food has in Peruvian Society. For most Peruvians eating is only not a matter of feeding themselves while having a delightful time; for them, it seems, eating is the most joyful way for celebrating life. After several trips and long stays in Peru, I started thinking about the origins of this food consensus and celebrations and its relation to Peruvianness. I discovered that questions about a sole central identity, in a country of multiple ethnicities and varied nationalities engulfed Perulong ago. Although, only the modern culinary movement has found a thorough response: leaving the quest for national identity as an open-ended trail mediated by the inclusive character of ingredients, plates, pans, and pots, like an orchestration of flavors and inclusions. A supermarket food stall of Bocaditos chinos, the Peruvian version of Dim-Sum. My first sip of Peruvian cuisine was from a food stall in a supermarket. I was starving so I dared to taste some Peruvian-Chinese dim-sum or bocaditos chinos, as it is locally called. 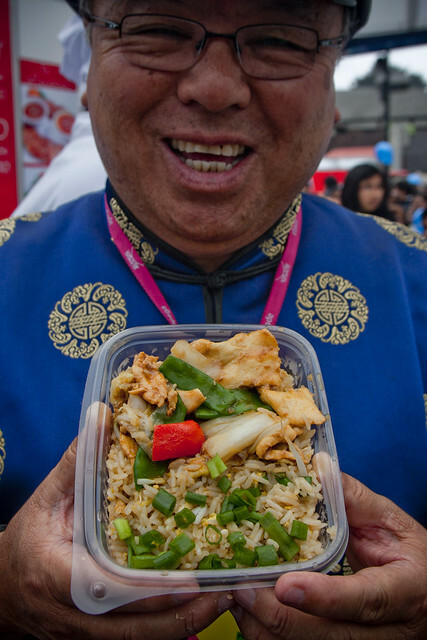 The lady in charge of the stall happily told me that apparently, traditional Chinese food came along with Cantonese immigrants who arrived as sugar fields labor in the nineteenth century to Callao, the port of Lima. With the time, Cantonese dishes were transformed after being mixed with hot and sweet chilies, garlic, and onions – the foundations of traditional Peruvian cuisine. From that mixture it became a food called chifa, a name that would be an alliteration to the Chinese phrase “Lets eat” or “to eat”, often used by Chinese immigrants back in nineteenth and early twentieth century. Hispanic populations, in an increasingly cosmopolitan Lima, understood the word as chifa. And from that moment, it was the word used to refer to both the food and the restaurant that serves this kind of Cantonese-Chinese-Peruvian dishes. If you are visiting Lima, Chinese-Peruvian food or chifa is a must as it is a Peruvian uniqueness! I was so fascinated about these flavors, that wanted to know more and more about Peruvian food – and its historical background – and so I booked a gastronomic tour. During the food tasting, we tried cebiche de conchas negras (made of lime juice, diced onions, red-hot chilies and black scallops). I also had sole fish cebiche, the most common version of the dish eaten along the Peruvian coast. However, the greatest thing of the journey was the nativist version of the story of cebiche. First thing to know, the chef said, is that it is not exclusively Peruvian. It is actually a preparation extended throughout most Latin American countries located along the Pacific Ocean. Yet it probably originated within the Moche culture – located in the northern coastal region of Peru– and then expanded north and south along the coast while incorporating products from the highlands. He concluded saying that cebiche is one of those great gastronomic metaphors of Peruvianness. One dish that did not care about exclusions because European limes, chili peppers from the highlands, Japanese cooking techniques, and semi-sweet fruits from the rainforest are all present in a plate. It is hard to believe that so many traditions could merge harmoniously, but Peruhas done it and deserves all the credit for that. 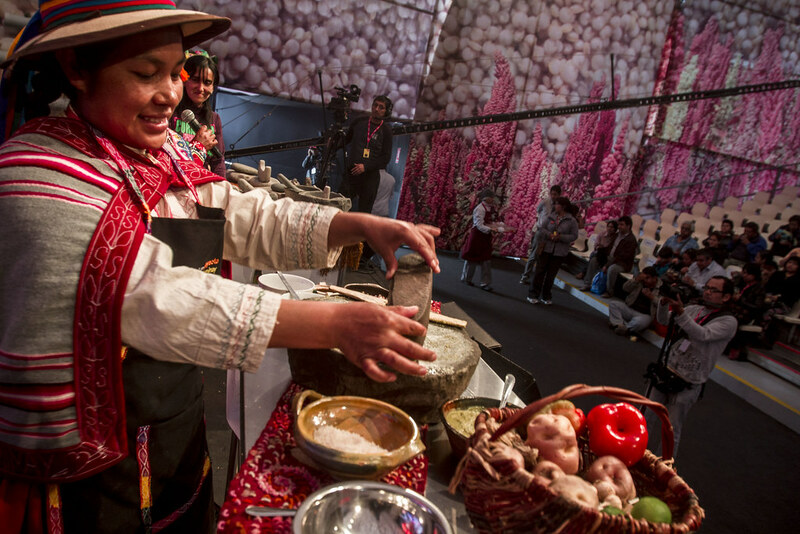 Women preparing Ocopa Sauce in a Batan Stone during a famous gastronomic event in Lima, 2012. During Fiestas Patrias (July 28th), date in which Peruvians commemorate their independence, I discovered another delicacy. Properly speaking, the term cocina criolla refers to mestizo cuisine, and it was a concept crafted in Peru at the early twentieth century along with the tradition of criollismo itself. Criollismo was some sort of racial pact; some sort of democratic notion about Peruvian society by which racial and ethnic tension had to be alleviated if not totally displaced throughout artistic manifestations like music, literature and a rich local gastronomic experience among many other things. In this order of ideas, one of the core stones of the comida-criolla became salsas, cremas and ajíes. Papa a la huancaína and ocopa are remarkable examples. All of them were originally made with a very particular artifact: the batán stone. 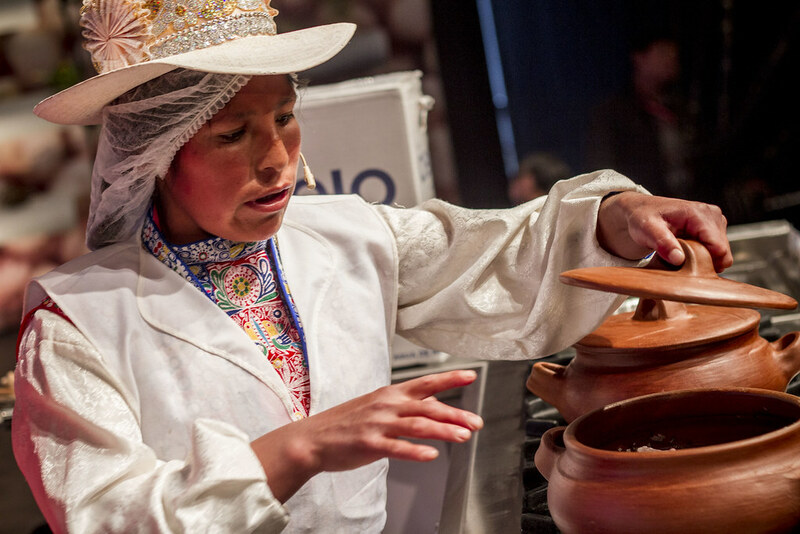 This object, as many other aboriginal instruments, have made its way back to the forefront of the Peruvian gourmet restaurant, marking the beginning of a process of recovery and preservation of millenarian cooking knowledge. The variety of Cocina Criolla. On this list of culinary items, it is also worth mentioning Peruvian version of a masher, the prensapapas, used for blending potatoes to create causa limeña, a potato cake lightly seasoned with ají amarillo, that was apparently first commercialized back in the days when Peru was becoming independent. Women used to fundraise for the patriot army selling this delicacy for the cause of liberation, hence its name. All in all, one of the bottom line aspects of these artifacts is their seemingly evident role for crafting something new. In other words, representing a unique aspect of Peruvian cuisine: the constant aim for intermingling products, flavors and thus the cultural backgrounds thereof. People celebrating the end of the biggest gastronomic party of Lima, Mistura 2012. All these ingredients, techniques, and technologies make Peruvian cuisine unique and attractive to both locals and foreigners. For me, one of the latter, it has been – and still is – a journey of discovering and unveiling flavors and the stories that come along. In making a nation, Peruvians resent many aspects of their historical background but are remarkably proud of their booming culinary movement. That is the special thing about Peruvian gastronomic tradition. Peruhas managed to merge together – through its cuisine – the best of their multiple internal nationalities with those of other nations that also forged modern Peru. Culinary democracy at its best. Clara is a passionate traveler, history teacher, and gastronomic expert. She recently discovered her passion of researching the history of food, traditional cooking techniques, and ingredients - in South America and its global context. Like every good Colombian, she loves salsa and endless coffee.